Is there such a thing as a 100 year old sourdough starter? It’s a story people like to hear, that the origin of my starter might well be over a century ago. I have researched it, but can’t quite pinpoint the exact date that it was started, I asked the older ladies in the village, who told me that even during the wars the bakery did not close. There are paper records of the bakery going back 156 years ago and evidence of the bakery being there several hundred years before then. So maybe my starter has seen it’s way through two World Wars and has found it’s way back to my kitchen in Northamptonshire. It is originally from the bakery in the south of France where I spent my childhood. I love that it has history. It a a robust sweet smelling community, of bacteria that makes superb sourdough bread every time. So how close am I to my original French starter from the turn of the century? Well, anyone who has made sourdough will know that there’s something alchemic about sourdough. The endless variables at play mean that we’re not experimenting with molecular gastronomy; it’s far more artful than that. 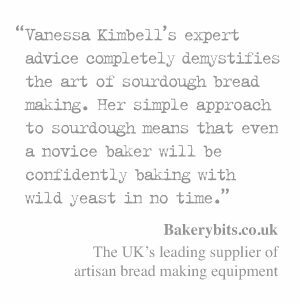 It’s more about the look, feel and smell of the process as we create and bake our dough than the appliance of science. We know when our dough has proved enough by how it looks and reacts to the touch, not because it’s been rising for exactly x minutes at precisely y degrees. Another attraction to an old starter with a story is the connection to bakers from the past. We, like them, have our starter to look after: sometimes bought from a commercial source, given by a friend or even created ourselves by flour, water and patience. We don’t just bake bread. 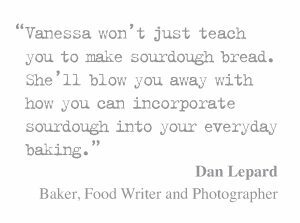 We bake sourdough, each loaf taking us one step further up the levels of understanding of this endlessly fascinating craft. Although sourdough may be a craft, the science behind sourdough is interesting. A sourdough starter is more than just yeast: it’s a symbiotic culture of yeasts and bacteria. Commonly, the bacteria is one or more strains of lactobacillus, the yeast may be one of many different varieties, including saccharomyces and candida. Across various studies, twenty three species of yeast and forty three species of bacteria have been identified. It is the bacteria that makes sourdough sour: broadly, the bacteria metabolize sugars in the flour that the yeast cannot, but the yeast can metabolise the products from the fermentation by the bacteria. The yeast produces carbon dioxide to raise the bread, and the bacteria imparts the sour flavour. Some of these bacteria are unique to sourdough; most famously lactobacillus sanfranciscensis, which was found in a starter from, unsurprisingly, San Francisco. 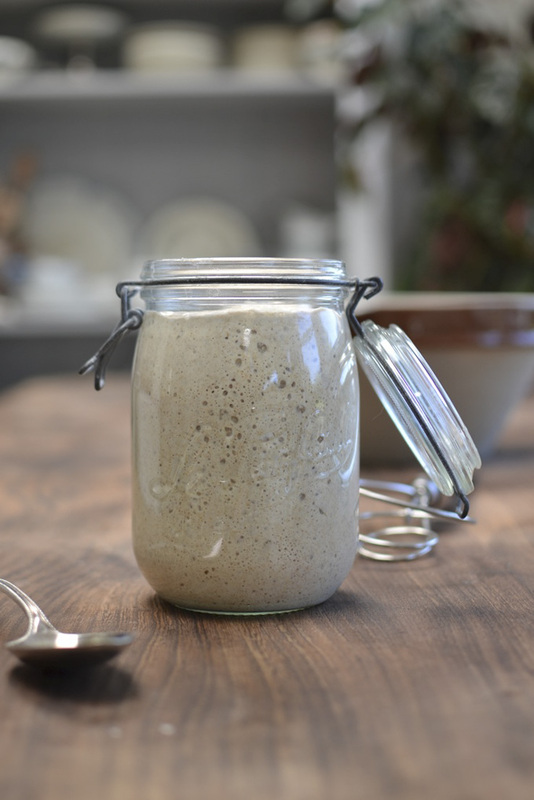 A starter with a history is of the ways we can really connect with the history of sourdough, and baking,and we become the guardian of a starter with heritage. You might bake with a San Francisco or Alaskan starter from the eighteenth century, for example, or one closer to home but with equally impressive roots. But the question remains of exaclty how connected are you to its source? 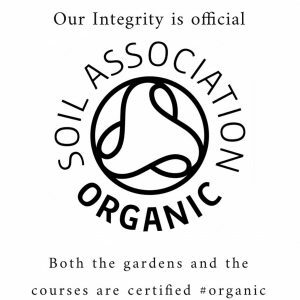 Are we really using an ingredient that’s a century old? Certainly I’ve read some amazing stories of some cultures that have an impressive history. The Boudin Bakery in San Francisco which claims that it can trace it’s starter back to the California gold rush in the mid­nineteenth century, and the Bocker–Reinzucht–Sauerteig commercial sourdough starter from Germany is seventy years old, and has been shown to be unchanged over the period of a decade despite the changing conditions in the bakery between winter and summer. The Herbert’s Hobbs House bakery in the Cotswolds also have fifty seven year old starter. However, much as it would be nice to think that my starter, with a history that predates the birth of my grandparents is the same as when it was first taken from the original, it is sadly unlikely. My kitchen is different and my refreshing or feeding regime is different, and it’s been shown that these factors have a significant effect on the dominant strains of yeast and bacteria which change between the original and the offshoot. For example, in one study it was found that the composition of sourdough across a number of bakeries in Belgium was mainly affected by the bakery environment, rather than the type of flour used. Another study shows that the varieties of yeasts in a starter declines when its is kept in a laboratory rather than in a bakery ­ i.e. the kitchen environment itself is influencing the sourdough. 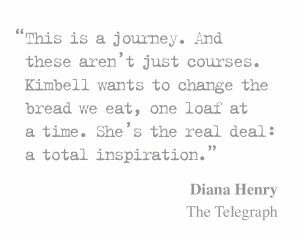 I rather like this idea; not only does my bread reflect me, and the effort I put into creating and baking, but it also reflects my bakery. The science, however, isn’t fixed. There is still debate about how much and in what ways starters change over time and between different bakeries and kitchens. What seems to be likely is that for a starter to remain unchanged over long periods of time, it has to be maintained in the same place and with an unchanging feeding regime. But what is undeniable is that if you are using a starter with a long history, while it’s microbiologically very unlikely to be the same as it when you first acquired it, because you will have introduced new yeasts each time you refresh it and those yeasts live, reproduce and die at an incredibly fast rate. Your starter does, however, still has that connection with the past, and every time you use it, you’re adding to it’s story. 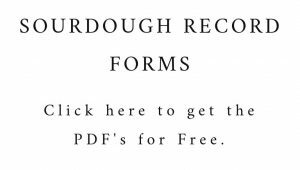 Share the post "The myth of hundred year old sourdough"
This encapsulates everything I find so wonderful about cooking and baking. It’s the alchemy that combines the ordinary into the extraordinary.